Where did Robben Island come from and how did it get its name? 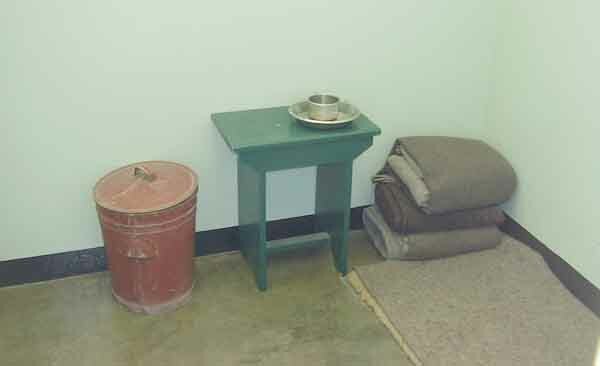 Robben Island was not always an island. Over the last 10 – 15000 years the landscape around Cape Town has drastically changed. The area between the Hottentots Holland Mountain ranges in the east and the Table Mountain range in the west was covered by the sea linking False Bay and Table Bay together as a large channel covering the dry land known today as the Cape Flats. 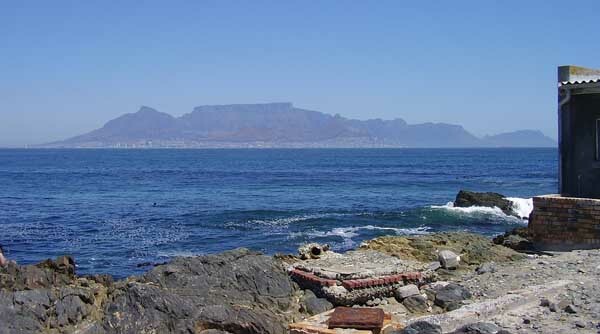 The Table Mountain range of mountains was an island in the middle of the sea off the coast of Africa. Because of the depth of the sea during this period Robben Island would have existed as an undersea hill or mountain. Then as the ice caps formed in the Arctic and Antarctic the seas around the coastline receded until False Bay and Table Bay were dry land and the land in between known as the Cape Flats also dried out. The lakes Zeekoeivlei and others are thought to be leftovers of the seas presence on what is now dry land. During this dry period Robben Island would have been a small koppie (hill) in the middle of what is now Table Bay. Hunter gatherers would have inhabited the high ground for protection from wild animals that roamed the plains around the hill in those days. Proof that the land around the island was dry was recently discovered in the middle of the bay when a stone age implement was found. Experts feel that the only way this implement could have found its way to where it was found was to have been dropped there by a person walking on the dry land that once existed in the area. Over time the ice caps started melting again and the the seas rose flooding the lowlands of Table Bay and False Bay once again. Fortunately the ice caps did not melt completely so the hill in the centre of the Table Bay remained exposed to become the island now known as Robben Island. When the early visitors to the Cape arrived the island was inhabited by seals known as robben in Dutch. With the arrival of the Dutch in the mid 1600's the island became known as Robben Eiland or Robben Island as it is known today. From 1498 onwards ships searching for the sea route to India started passing the Cape and the first recorded landing on Robben Island was by Vasco da Gama's fleets in 1498. From then the island was used by passing ships as a prison, a refuge, a place to find food and a post office. With the arrival of the Dutch in 1652 the role of the island changed and it was used firstly as a place to keep criminal and political prisoners, then from 1795 east asian exiles were housed on the island and a quarantine station was established between 1771 and 1790. From 1795 onwards the island came under British rule and in 1802 was handed back to the Batavian Republic. In 1806 the British once again took over control of the Cape and the island from then onwards has housed prisoners, political prisoners and quarantined people suffering from leprosy and lunacy amongst other health problems. From 1910 onwards when the Union of South Africa was established the island was utilised as a Convict station, Hospital and a Coastal Defence and Training Station by the SA Defence Force. In 1961 the Nationalist Government in South Africa started enforcing the apartheid laws and Robben Island became a maximum security prison for political prisoners such as Nelson Mandela and a medium security prison for criminals. With the elections of 1994 and the takeover by the new democratic government the usuage of the island changed again. The island was turned into a museum and heritage site in 1997 and into a world heritage site in 1999. Today thousands of visitors flock to the island visit the museum and to see the prison cell where Nelson Mandela spent 17 years of his life. The island has become one of the "must visit" places on a holiday to Cape Town. To transport visitors to the island the Robben Island museum has purchased a brand new ferry named Sikhululekile. Seats on the Robben Island ferry are limited and in heavy demand so it is necessary to pre book them to ensure that you will be able to visit the island when you visit Cape Town. Robben Island ferries leave the Mandela Gateway in the V & A Waterfront for the Robbin Island prison museum at 9am, 11am, 1pm and 3pm, daily weather permitting and last three hours. Morning half day tours of the Cape Peninsula or the Winelands or the Townships can be arranged to coincide with the 3pm tour to Robben Island with the tour company dropping you off in the V & A Waterfront in time to have lunch before visiting the island. Robben Island bookings for the 3.00 pm Robben Island Museum and ferry ticket tour can be made by clicking on the link below. Once you have your confirmed booking contact us to arrange a morning tour for you. We look forward to your visit and being of service to you.